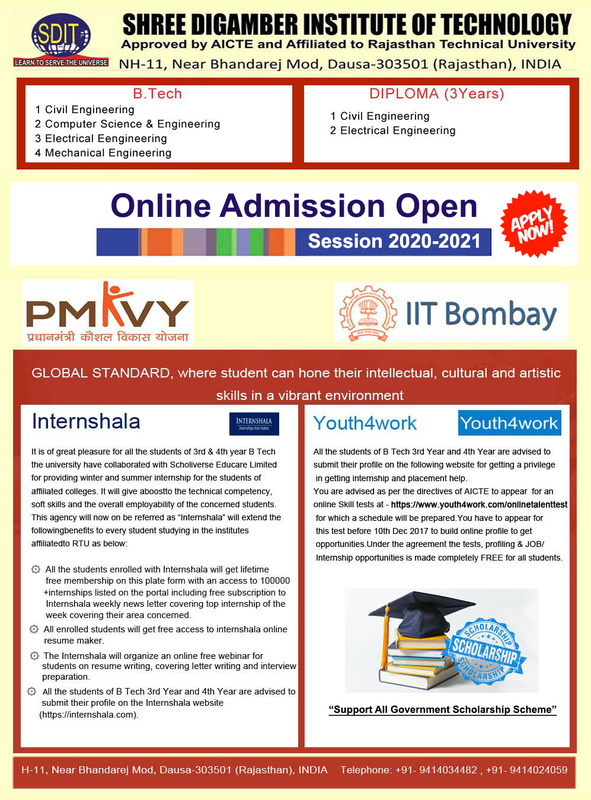 SDIT is a multi disciplinary engineering college focusing on actionable engineering programs. It is a manifestation of academic heritage with strong belief in “Guru-Shishya Parampara”. At this temple of learning, the focus is on human values, academic excellence and composite personality development programs for enhancing the potential of individual students, enriching human values, and upholding the Indian value system. SDIT’s vision is to develop educational and research institutions of GLOBAL STANDARD, where student can hone their intellectual, cultural and artistic skills in a vibrant environment, evolving into socially sensitive adults who can achieve their full personal, academic and professional potential. To emerge as one of the best comprehensive knowledge and research center committed to transform young students into globally employable professionals and good human beings by providing quality education and imbibing them with human values and ethics. S. No. Branch Total Seats REAP Seats JEE Seats T.F.W.S.